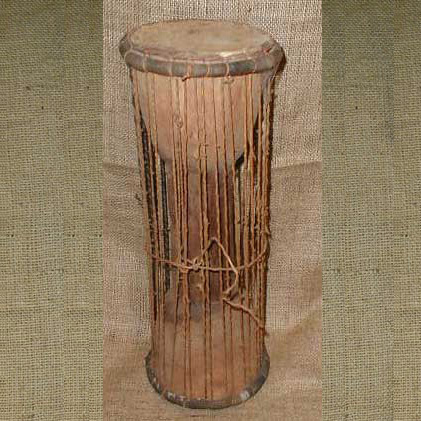 This unique instrument is from Burkina Faso. Held under the arm, is it played by means of a curved drum stick (included), and the pitch is changed by squeezing the strings that run lengthwise. It is roughly 15 inches tall.